BUILDER CLOSEOUT - ONLY 9 LOTS REMAIN. BUILD YOUR NEW HOME IN THIS BEAUTIFUL HOMEARAMA COMMUNITY. THE BRAMFORD DESIGN WITH 2 MASTER SUITE'S! FORMAL DINING ROOM, FR OPEN TO KITCHEN. 3 BEDROOMS PLUS LOFT & STORAGE UPSTAIRS. BEDROOM #4 WITH PRIVATE BATH. VERY FLEXIBLE LIVING SPACE. BUILDER HAS $30K OPTIONS INCENTIVE @ 1/2 PRICE! HW OR CERAMIC IN FOYER. $7500 IN CCA USING PREFERRED LENDER. Ready to visit 6141 Mm Bramford-Pitchkettle Farm? Request a free property tour! Send me more information about the listing at 6141 Mm Bramford-Pitchkettle Farm, Suffolk, VA 23434, MLS# 10169840. 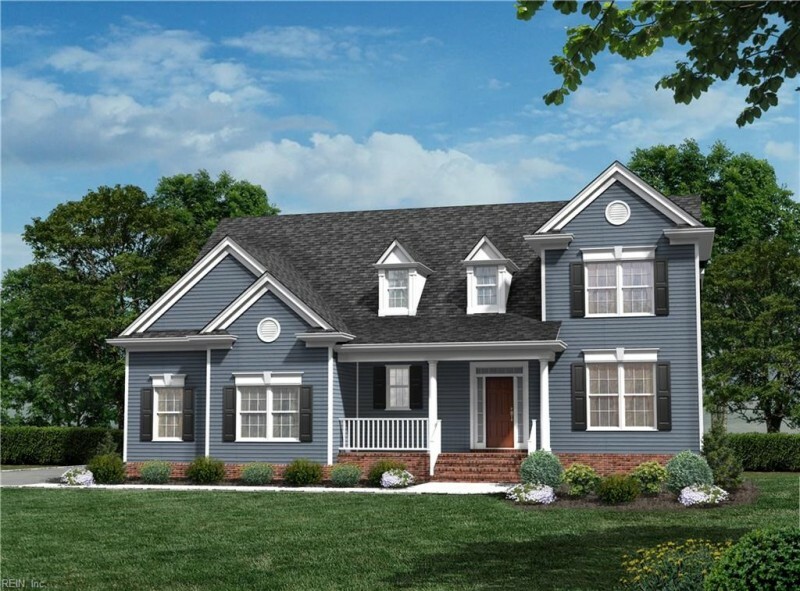 This 4 bedroom, 4 bathroom home located at 6141 Mm Bramford-Pitchkettle Farm, Suffolk, VA 23434 has approximately 2,812 square feet. It is currently listed for $444,900 and has a price per sqft of $15,821. This home is currently Active under the MLS#: 10169840. This listing is provided by Rose & Womble Realty Company. 6141 Mm Bramford-Pitchkettle Farm Lane, Suffolk was built in 2018. It has Garage Att 2 Car, 2 Space, Off Street parking.The kitchen includes Dishwasher, Disposal, Dryer Hookup, Microwave, Elec Range, Washer Hookup. 6141 Mm Bramford-Pitchkettle Farm is part of the Pitchkettle Farms neighborhood located in 23434.